Sold by Cloudtail India (4.5 out of 5 | 73,028 ratings) and Fulfilled by Amazon. Gift-wrap available. 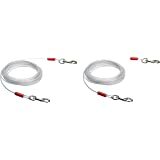 Enjoy hands-free convenience with the AmazonBasics Hands-Free Dual-Handle Bungee Dog Leash. 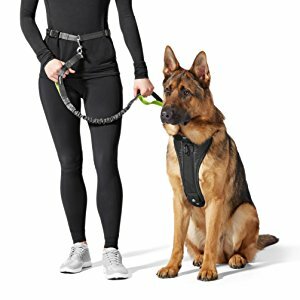 The leash provides an adjustable waist belt, two handles, and a short length to keep your buddy close by, but without getting underfoot. The short leash won’t get in your way, either, yet it allows plenty of room for your furry friend to comfortably run in front of you, behind you, or on either side. 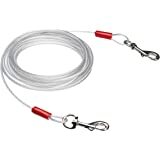 Made of durable polyester webbing, the leash provides reliable strength that holds up over time. 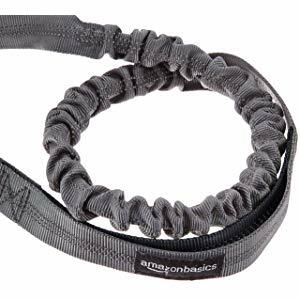 Whether walking, running, or hiking, the AmazonBasics dog leash provides ultimate convenience for you and your beloved sidekick. For added safety, the leash features reflective stitching to improve visibility at night. It lets other walkers know you're approaching, and it makes it easier for drivers to see you when you're crossing the road. 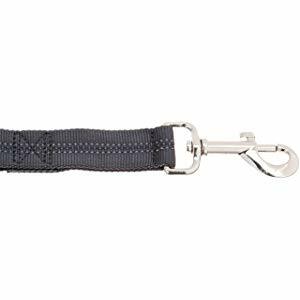 The leash's lightweight, adjustable belt fits waists up to 42 inches, and it provides a durable clip that glides smoothly along the belt, allowing the leash to move freely, unlike other hands-free leashes that remain stuck in one position. The sliding belt clip gives your dog the option to move from one side of you to the other. The leash comes with two integrated loop handles: one at the end of the leash and one right next to the clip. 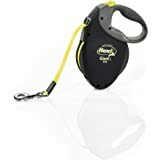 Use the handle next to your hip to guide your dog back into position, or use the handle next to your dog’s collar or harness for added control-great for training sessions or when needing to safely navigate through traffic or crowded areas. The two handles make it easy to give your dog direction without having to stop or slow down your pace. 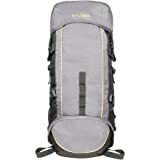 Positioned between the two loop handles, the leash provides a section of durable bungee. 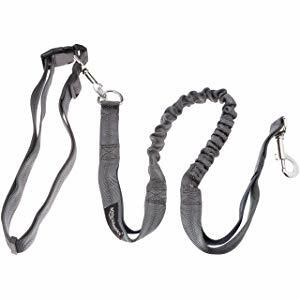 The bungee creates a cushioning effect that helps prevent jarring tugs and unnecessary tension on the leash for a smoother connection. 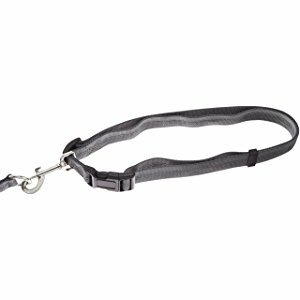 A metal thumb clip at the end of the leash allows for easily attaching the leash to your dog’s collar or harness. The clip connects quickly so your eager pup doesn’t have to wait long to get out the door, and it removes just as swiftly after returning home. 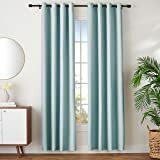 5.0 out of 5 starsGreat product to use. The leash is simply great for not only jogging with your furry friend but also for walking. Only thing to note is that this would not be the best leash to use if your dog is a puller. 1.0 out of 5 starsHorrible quality. Not worth the price. This is the best dog leash I've ever seen for the material used. 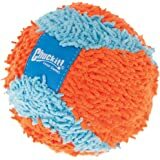 Very strong and lasts incessant biting ...I use it for my Lasha Apsos but this would easily hold a German Shepherd too. 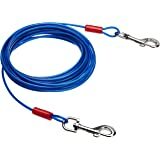 5.0 out of 5 starsStrong and value for money leash. Very strong and comfortable to hold leash, my 2 year old pitbull dalmatian mix is a puller but with double handles it's easier to manage this guy on a walk . Only better quality would be truelove products but they are now extremely overpriced. 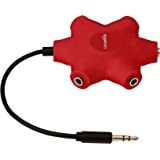 Amazon products really maintain their quality. Its good. And quality as well. Nearly 1.5 meter with better width. Better for big breads.